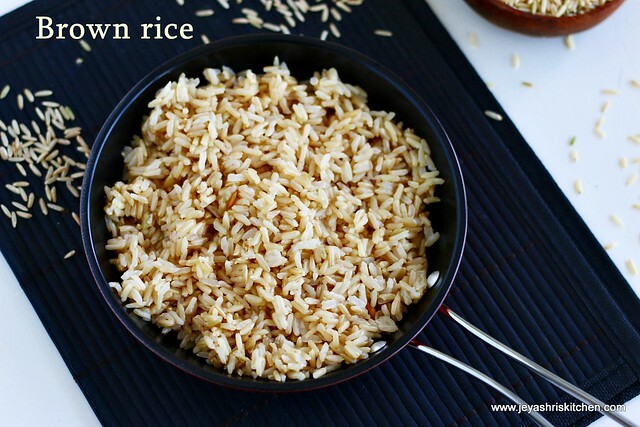 This post on how to cook brown rice is a long due for me. I got the brown price from the fair price shop here last month itself but somehow couldn't try it. As my mom always say, the auspicious time to cook that hasn't come yet . lol.!!. Finally i cooked it yesterday and wanted to post the recipe yesterday itself. But it was too busy yesterday and i couldn't sit and write a post on it. I made the brown rice in pressure cooker. 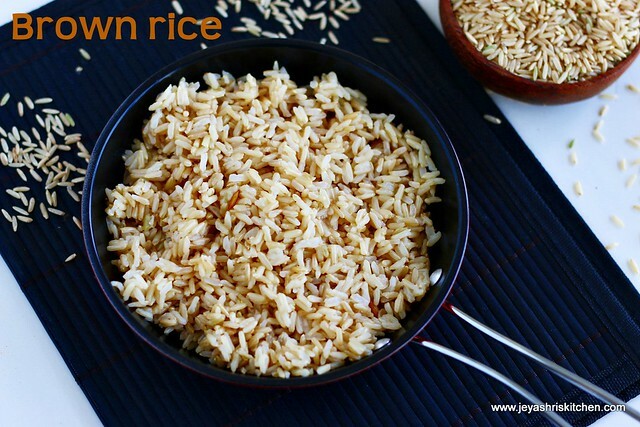 As we Indians are highly dependent on pressure cookers, and without the whistle of it our mornings will never be complete.There are so many varieties of brown rice available in market and basically each one takes it own time to cook. I have used 2 varieties of brown rice so far and both were extremely different. 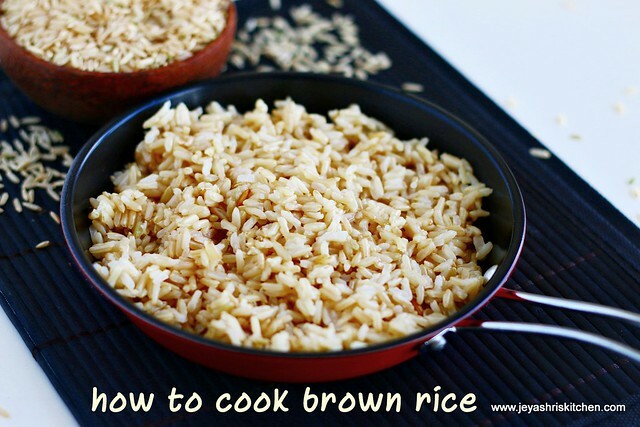 So unlike normal white rice, i can't give exact measurement but few tips may give you an idea of how to cook brown rice. The water quantity i have given is for the brand i used. It consumed very less water whereas the one i used last time consumed more water. Wash the rice and soak it in water for 15 minutes. Place the rice in a vessel and add salt. Cover it with a plate. Pressure cook this till 8-9 whistles. Brown Rice is ready . The texture of brown rice will always be chewy. You can many recipes with brown rice, I will be posting a brown rice pulao recipe in few hours . Stay tuned. Soaking the rice makes cooking of brown rice easy. The more you soak the softer rice you get. Always keep the flame medium low while cooking in pressure cooker. If cooking on open pan, add 1 cup of water and allow this to boil. Then add the rice and cook. Add few drops of oil if needed. i too thought of using brown rice Sona masoori's high glycemic index made me to think like this.Thanks fir the post.Do give tips on brown basmati rice. Nice post. Usually it takes more whistles than white rice. May be you can add 1/2 cup more water and keep 3-4 whistles extra in the cooker.